Home :: MedicTalk DentForms Software, Inc.
MedicTalk DentForms software is the most complete "paperless office" package on the market today. We are integrated with most patient management systems, such as Dentrix, EagleSoft, SoftDent, PracticeWorks, OpenDental, MOGO, and others. Still filing away charts and printing numerous forms? Scanning takes too much time? Want to reduce your malpractice exposure? To see how we can help your practice, please visit our Video page. 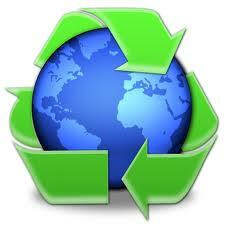 DentForms is the missing link to the paperless office! Create reliable record keeping with digital signatures! Reduce supply cost and boost productivity! Easy to use, your staff will love the simplicity! Dozens of pre-fab forms included. Use DentForms out-of-the-box by utilizing the starter forms. As you become familiar with the product, customize them or create your own forms. Having pre-fab forms ready for use upon purchase reduces the time-to-live you would otherwise have if you started from scratch. All forms stored in a secure SQL database. You can easily access them from the DentForms database any time you want. Electronic signature acquisition is more legally binding than scanned images of patient signatures. DentForms includes a robust alerting system, easily see if a patient needs to sign any missing forms. Online Patient Forms - eDentForms is another way to make your office more efficient. eDentForms takes your office a step further. By adding a simple link to your website, your patients can fill out the registration information, medical and dental history forms from the comfort of their own home. eDentForms allows patients to complete all necessary paperwork by clicking on a link from your website. Even if you don't have your own website, patients can access it directly. The forms then transferred over secure connection to your office. No double-entry required, one button click synchronization with the DentForms program. You can check for insurance eligibility right away. Check to see if there is anything you would like to discuss with the patient before they are standing in your office! 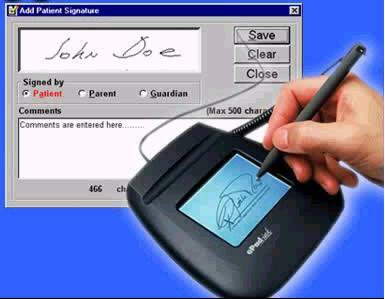 When patients arrive for their appointment, they just sign using an inexpensive signature pad. Patients' waiting time before seeing the doctor is reduced, since they need not arrive too early to fill out forms. The patients save time, your staff saves time, your office becomes more efficient! No more scanning, printing, looking for misplaced documents. Electronic signature - is it legal? Copyright © 2012 MedicTalk Software, Inc. All Rights Reserved.